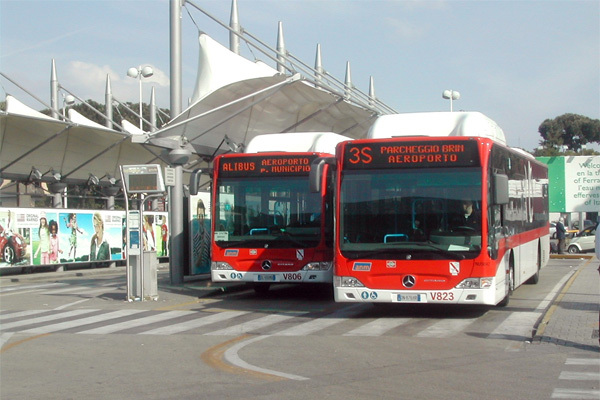 The Naples Alibus Airport Shuttle transports passengers between Naples Capodichino Airport, the Central Train Station and Naples Molo Beverello Port. Stopping only at these three locations, it is a cheaper alternative to taking a taxi and more convenient then using the city buses. The Alibus stop is located in Piazza Garibaldi midway between the Central Station and Corso Garibaldi. It is located at the city bus parking lot in front of Hotel Cavour. UnicoAlibus tickets purchased on board the Alibus are €4,00. Tickets purchased at an authorised agent prior to boarding the Alibus are €3,00. Please note, bus tickets for Naples city buses cannot be purchased or used on board.